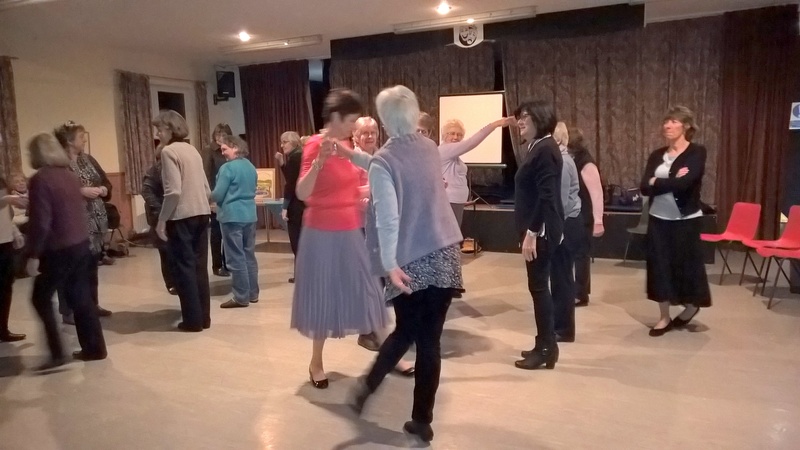 The Bishopstone with Hinton Parva WI is a very friendly, active WI that offers its members companionship, as well as a range of leisure and educational activities. We were established in 1954 and currently have 44 members who come not only from the villages of Bishopstone and Hinton Parva, but also from the surrounding villages of Ashbury, Bourton, Liddington, Shrivenham and Wanborough, as well as from Swindon. 2014 marked our 60th Anniversary and we enjoyed a delightful celebration evening together with family and friends; we were also delighted to be joined by our County Chairman Isobel Acott and her husband. 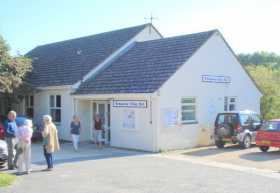 Our annual programme runs from May until April and we normally meet at 7.30pm on the second Thursday of each month for about two hours, either in Bishopstone Village Hall or Hinton Parva Village Hall (see below). Ordinary meetings comprise a short update on current business, a guest speaker, competitions, a raffle and social time over coffee and biscuits; the annual programme for 2018 – 2019 is here. We have two competitions at each meeting: bloom of the month, and a light hearted competition related to the evening speaker’s presentation. Our WI provides a bursary of £200 every second year to enable one of our members to attend a course at Denman College. Bishopstone and Hinton Parva are charming Wiltshire villages sited very close to the ancient Ridgeway, Britain’s oldest road. We belong to the Wiltshire County Federation of WIs and within that, to the Ridgeway Group of WIs, both of which are described in more detail below. Forget the stereotype WI lady – our members are modern women who enjoy socialising at our monthly meetings, welcome the chance to make new friends and, as you will see, are always up for a challenge! We organise a wide variety of events each year that try to offer something for everyone and we enjoy the company of husbands, partners and guests at many of them. 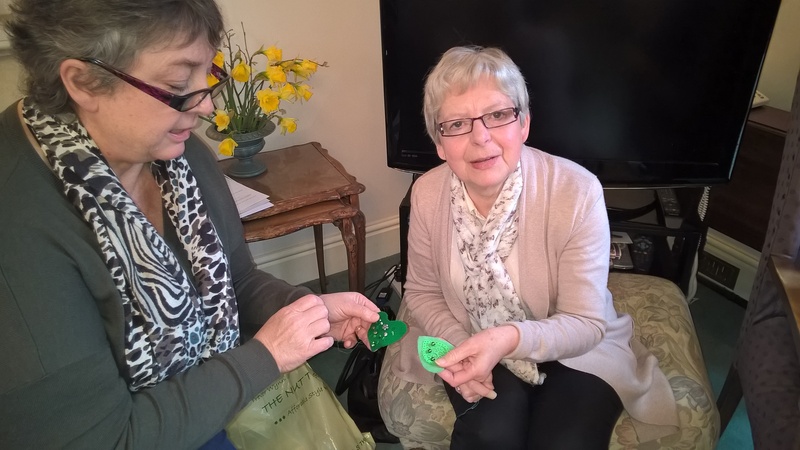 Our scrabble, skittles and whist teams compete regularly against other WIs in the County, and we also have a reading circle and an art appreciation group, arrange outings to local places of interest as well as theatre visits. Meet us all in the following pages. Our elected Officers and Committee Members for 2017-2018 are identified above. Committee Meetings usually take place on the afternoon of the first Thursday of each month. 8th November October, at Hinton Parva, 7.30pm : we welcome local dairy farmer and milk producer Josette Fiddes of Jo-Jo’s milk, Lotmead Farm. 13th December at Bishopstone , 7.00pm: Christmas Celebrations. Spring Events: Spring is usually characterised by much anticipated trips to the theatre – whether in Swindon or Oxford – to see a current play, or panto and more often than not a ballet production by an international company. Always delightful. 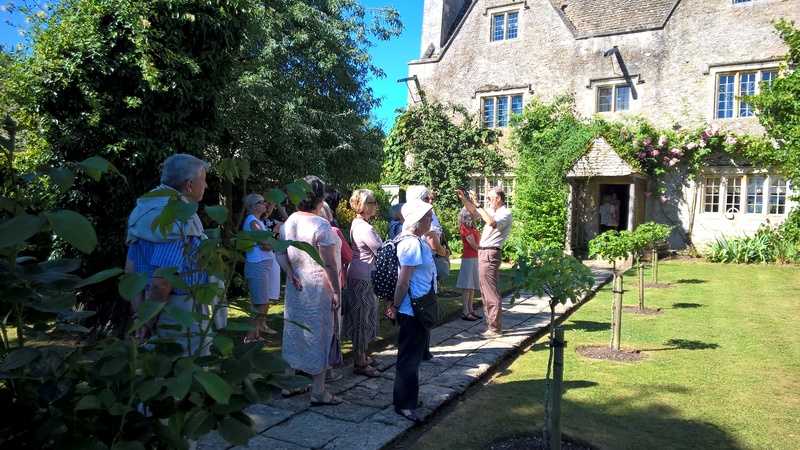 Summer Events: Summer provides an ideal excuse for a BBQ, Safari Supper, outing or something similar; partners/friends are invited and we socialise in a relaxed setting. Our Flower and Handicraft Show takes place in June and is organised by a dedicated Show Committee and judged by external experts; click here to view the 2017 trophy winners, photos of the exhibits, the membership of the show committee and the show judges. Birthday Party: Each September we celebrate our “birthday” with a fun gathering of members, partners and friends. It may be a party in the village hall, a trip on the river, a meal out, or anything suggested by a member and agreed by the rest. Everyone contributes some food to the occasion and we often have a birthday cake too. Members’ Meeting: There is always a “Members’ Meeting” in October, which gives two of our ladies the opportunity to experience being President and Secretary for the evening with a view to perhaps becoming future Committee Members. After the business meeting there is always something interesting and enjoyable to end the evening. Ridgeway Group Events:Institutes local to each can come together to form “Groups”. 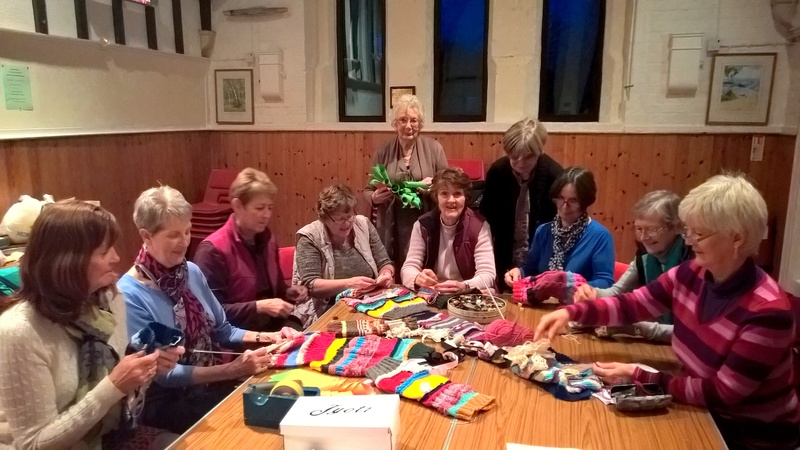 Our WI is in the Ridgeway Group along with Stratton WI, Liden WI, Chiseldon WI, Ellendune WI and Ermine Street WI. 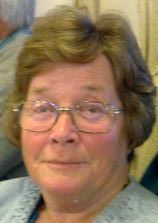 The Group Convener is Val from our WI. 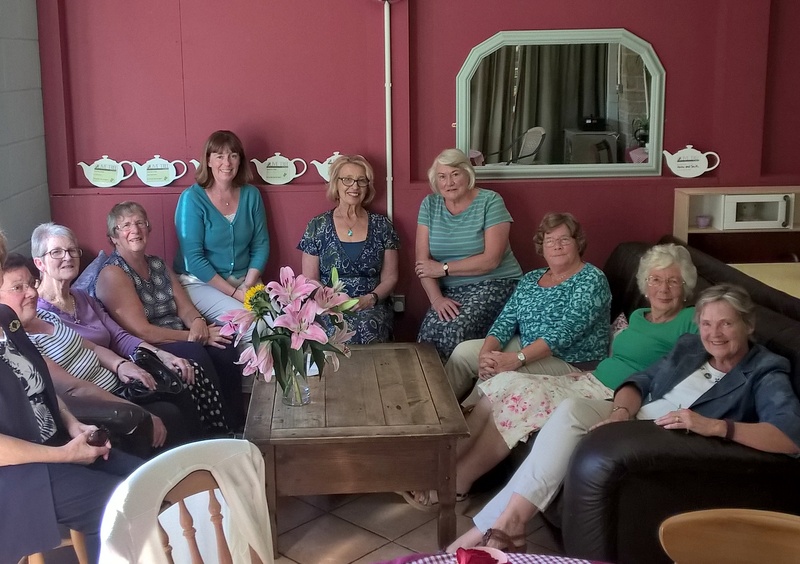 Members from each WI meet once a year, to share information about events and speakers, to hear a guest speaker and to enjoy each others’ company. A Committee comprising two representatives from each WI plans such events. Christmas Celebration: Our Christmas meeting is an occasion for celebration with husbands, partners and friends and some guest performers. 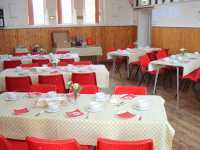 Our WI is happy to provide lunches, cream teas or light suppers for WI or other tourist groups passing close to The Ridgeway, Swindon, Wantage or Lambourn. Please contact Lynda for more information or to make a booking (01793 791722). Click here to read a brief resume of our events from recent years. WIs are geographically linked within 70 County and Island Federations, each with a regional office. 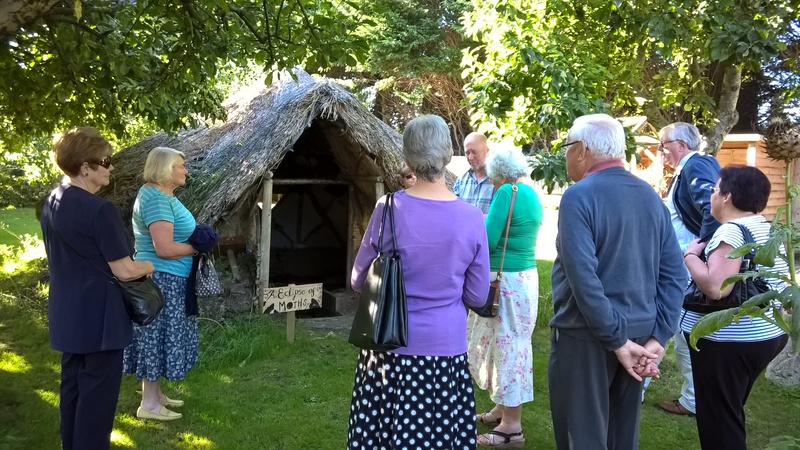 Our own WI belongs to the Wiltshire Federation which has its Head Office in Devizes; it deals largely with organisational matters, and offers help and support to any Institute. Within the Federation there are a number of County Committees which together cover all areas of WI activity in the County; for example, the Leagues Committee, the Arts and Leisure Committee, the Workshops Committee, the Travel and Events Committee, the Membership Committee and the Campaigns and Communications Committee. All the Committees of WFWI organise a wide range of visits, activities and competitions that are open to all WI members. Details are publicised in “Wiltshire News” and are also brought to members’ attention by our Secretary at monthly meetings. We routinely enter teams for the County Scrabble, Indoor Skittles and Whist Leagues and usually do well – importantly, you don’t need to be an expert, the aim is to meet new people and have fun. As you might expect, cookery demonstrations are organised by WFWI across the County; these offer a great opportunity to make and taste new dishes and also to exchange ideas. 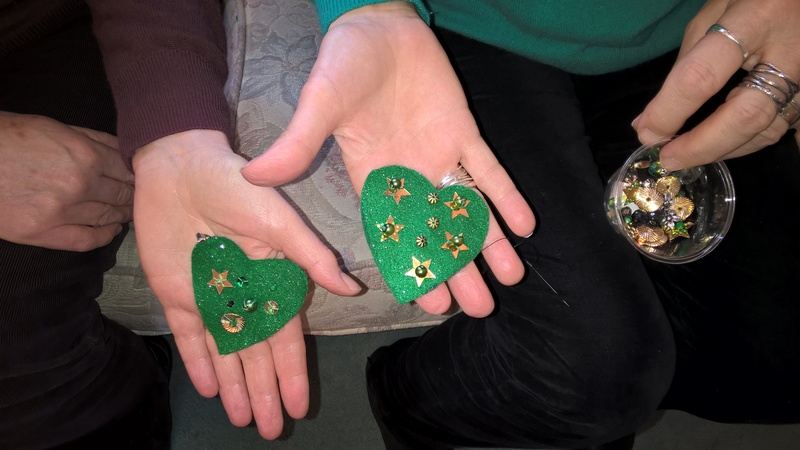 As well as this, there are many events at County level focussing on new crafts, either through demonstrations or workshops, or via more formal courses at Denman College. The WI was formed in 1915. It currently has 205,000 members in 6,500 WIs throughout England, Wales, the Channel Islands and the Isle of Man. It is completely independent, non-party-political and non-sectarian. It plays a unique role in providing women with educational opportunities and the chance to build new skills, to take part in a wide variety of activities and to campaign on issues that matter to them and their communities. For more information go to: www.thewi.org.uk. WIs are geographically linked within 70 County and Island Federations; our own WI belongs to the Wiltshire Federation (WFWI) which has its Head Office in Devizes (see: www.thewi.org.uk/wiltshire). 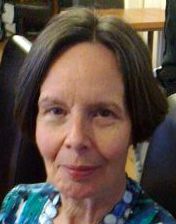 The WIs and Federations in turn come under the over-aching umbrella of the National Federation (NFWI) which has an Office in London. Every year WI members have the chance to put forward issues or “resolutions” that they would like the national body to campaign on. These resolutions go through a year-long debating and consultation process by the membership. Once the resolutions have been short-listed by the membership a select number are chosen for discussion at the Annual General Meeting in June. If passed, these then become mandates and form the basis of campaigning activities in the years ahead. This process ensures that our campaigns have been through a democratic process involving all the members and come from the grass roots of the organisation. Each member pays an annual subscription; about half of this sum is split between the National and County Federations, while the rest is used to fund the activities of the WI to which the member belongs. From January 2017, the annual membership subscription will be £39.00. Dual members will pay £19 to their second WI (see below). New members joining the WI for the first time in 2017 will pay a pro-rata subscription depending on the quarter in which they join. WI members can belong to more than one WI by paying the full membership fee to their first WI and a reduced fee to each additional WI. 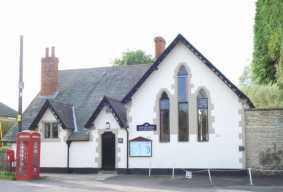 This entitles the member to take a full and active part in any additional WIs and have full voting rights on any matters relating to those additional WIs.
Denman College is the WIs own adult education college, located in the village of Marcham, near Abingdon, Oxfordshire. It offers over 600 courses, either residential or day schools, and is open to all, members and non-members, men and women and students of all ages. The College is located in a graceful Georgian House, set in 17 acres of beautiful grounds with walks and a picturesque lake. A new Cookery School was opened at Denman in April 2009. For more information click here.